A Passionfruit vine is one of the most vigorous fruit trees. They can take over a fence soon after it is planted and then start flowering and fruiting all in the first year. When it is coming into summer they are in full flight. 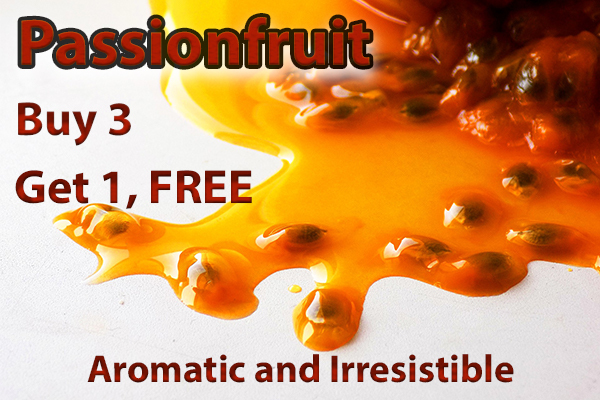 Although in some cases Passionfruit will set fruit without the need from pollination. Many passionfruit will set fruit better if there is another passionfruit near it. Bees and other insects cross pollinate them. This results in a bigger harvest of passionfruit and also can stop the passionfruit from shriveling up or not forming the fruit after flowering. This time of year at Daleys we have them in abundance and the quality is excellent. But they need homes right now before they outgrow their pots. This is why we have this special of buy 3 and get 1 free. If you can find a few fences, walls or even outdoor ceilings. Then this pack is going to help green up your backyard in a fast way.